Real estate can lead to early retirement, but it’s not passive income. You have to work for it. Being a good investor means being able to walk away from 80% of your deals. Don’t find good deals; find great deals. Finding a contractor is always the #1 difficulty. Have a few. Go to home depot at 6am and find the contractors there. These are the ones you want to work with. Location matters. Even great deals in poor locations can go wrong fast. MLS is comprised of 100s of list. Only realtors have access to everything. Use automated alerts. The underwrite is the main decision maker. We can be creative. Convince the front-end sales guy. He can convert the underwriter. An LLC will not prevent you from being sued. You can still lose everything. Good insurance can also be what you need. No one cares like you do. Remember that when using property managers. Strength comes from adversity. Know that with rentals. You’re going to learn a lot. Change filters in heater, etc. Easiest way to punish tenants is through fees. Do this or they will take advantage. Nice guys get screwed time and time again. If the Tenant broke something, that’s their problem. If it’s caused by normal wear and tear, that’s your problem. Keep dogs/pets to a minimum. 20 pound or minimum at the very max. If multi-family, no pets at all. Know the benefits of the 1031 Exchange when looking to trade up. You have to be quick… 45 days quick to be in contract with a new investment by the close date. 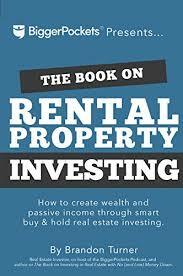 Always put your rental rate to be competitive or higher. Do not attract bad tenants with below market rent. Strength comes from adversity – Remember rentals are hard. Pay it forward. Give 10% of your paycheck or educate those around you. A lot of people gave up a lot for your current success. Let’s be thankful! A blog that's dedicated towards online marketing, sustainability, and, well, life as we know it.